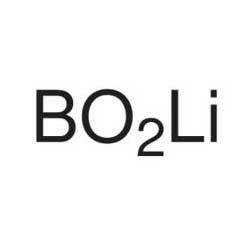 We are involved in providing laboratory grade lithium borate. It is used a buffer for gel electrophoresis of DNA and RNA. Our product is also used in different glass and ceramic making industries. Lithium borate is delivered to the client’s end in a safe manner by making it packed using barrels. 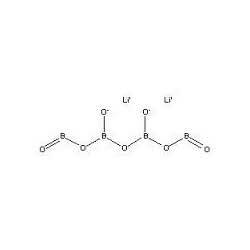 Furthermore, our product has lower conductivity and also known as lithium tetraborate. Lithium tetraborate is a white color powder with molecular formula Li2B4O7 which is moderately soluble in water. 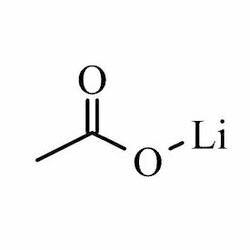 Lithium tetraborate is extensively used in laboratories. Our product range is known for its high melting point. Furthermore, it is considered a bit toxic and advised to handle safely. Lithium metaborate is an industrial grade chemical compound which is also known as boric acid or lithium salt. Lithium metaborate is extensively used for borate fusion sample preparation. It has white hygroscopic monoclinic crystals with high melting point. Fluxing agent for RFA-sample preparation.